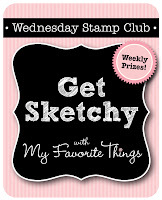 It's time to get sketchy with the MFT Wednesday Stamp Club and sketch 89. I inked up Pure Innocence Cute-a-Tude for this week's challenge. She really makes me smile with her little attitude!!! The patterned papers are from the My Mind's Eye Happy Day collection and I paired them with Pink Lemonade, Cotton Candy and Sweet Tooth card stock. I used the Flower Border Die-namics to jazz up the horizontal strips and the Fishtail Flags STAX Die-namics was perfect for the flag accent. I stamped the image with Memento Tuxedo Black and coloured her with copic markers. 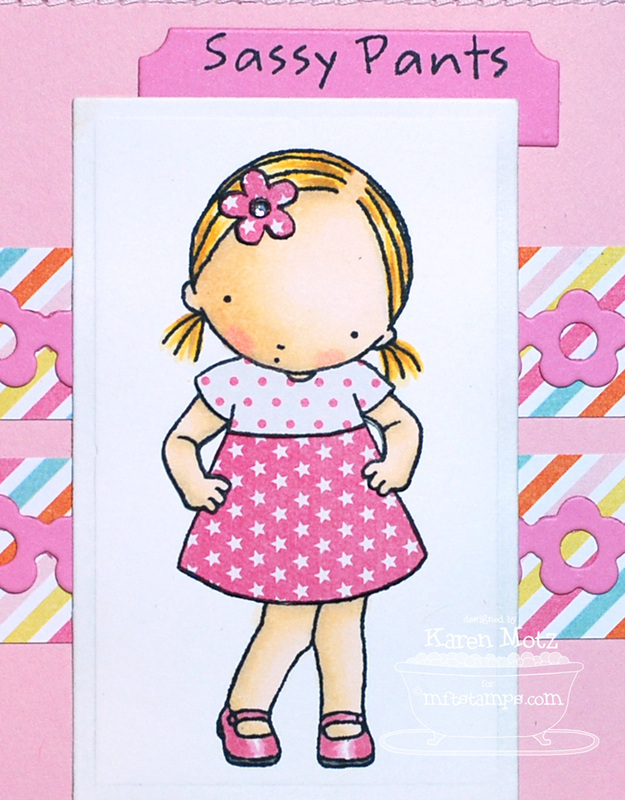 I paper pieced her dress with two patterned papers and used the Mini Tabs Foursome Die-namics for the sentiment tab. 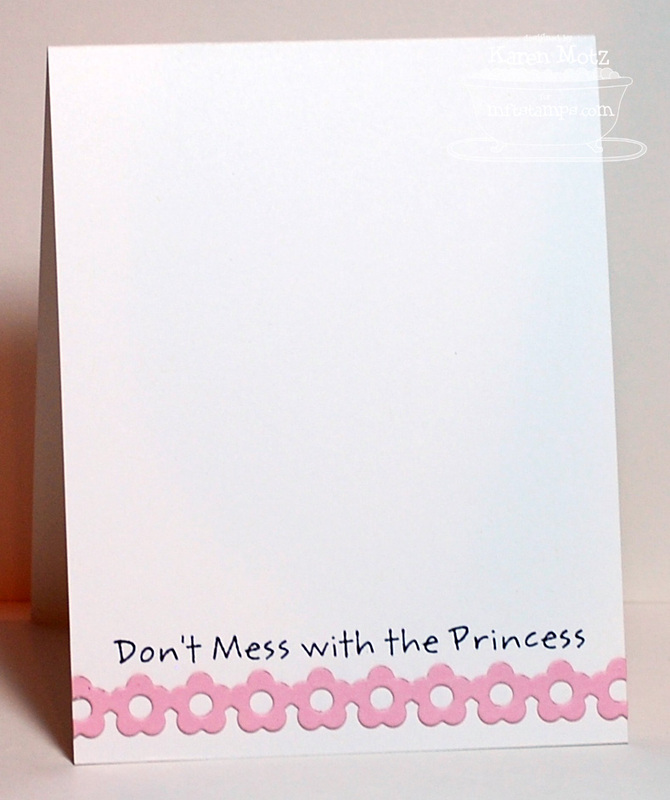 On the inside I stamped another sassy sentiment from the set and added a row of pink flowers for a girlie touch. There's a prize each week for one participant, chosen at random. You may use any stamps and supplies that you wish. 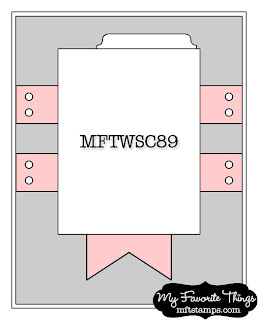 Each week a keyword is assigned to the sketch, and this week's keyword is MFTWSC89. All you need to do to enter is upload your card to the gallery at Splitcoast and enter the given keyword in the keyword box during the upload process. 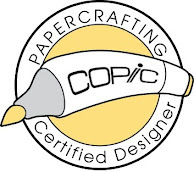 After the deadline (noon Eastern on Tuesday) we randomly choose a winner from that week's entries and the winner will receive a $15 gift voucher. If the winning card uses MFT stamps, the participant will earn a $5 bonus, for a total of a $20 gift voucher! This just makes me smile! LOVE this sassy little PI and her outfit is darling!! Perfect and Pretty in pink! I think you rocked this little sassy pants! Her dress is perfect, the row of flowers is perfect, she's so fun! 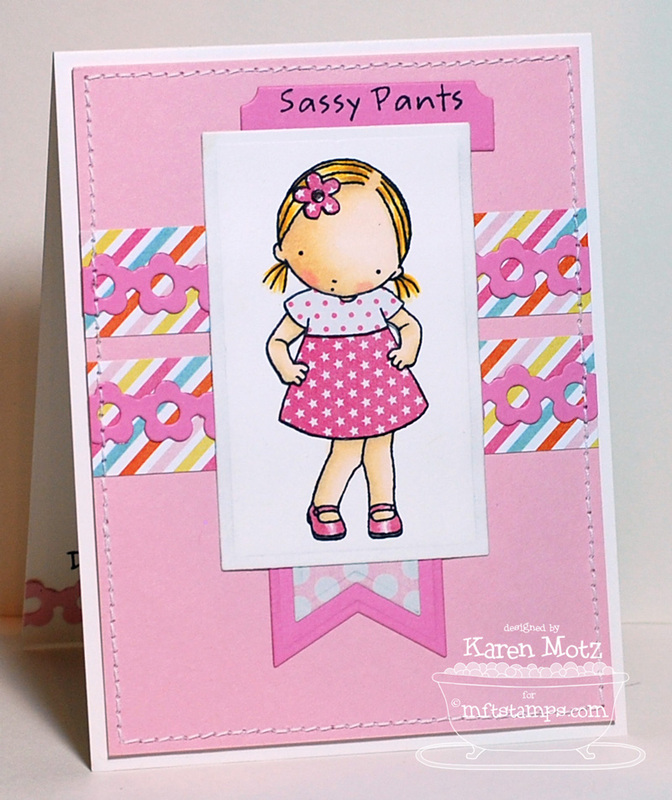 Oh she IS sassy and this would be the perfect card for Christal!! Love all the pink and the flower in her hair matching the die-namic!! This is very cute in all it's pinkness! 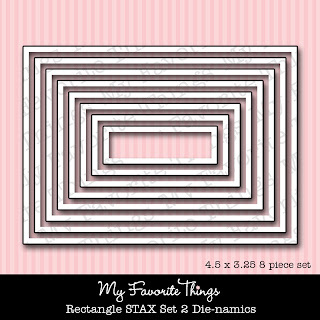 Great paper piecing and I like the way you off-set the tab. Now I'm going to have to order that flower border, too. As always, thanks for the inspiration. 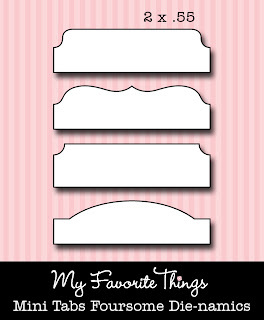 MFT New Product Tour - Surprise! MFTeaser - BOO to You!